How long does it take for the home locksmith to get to me? 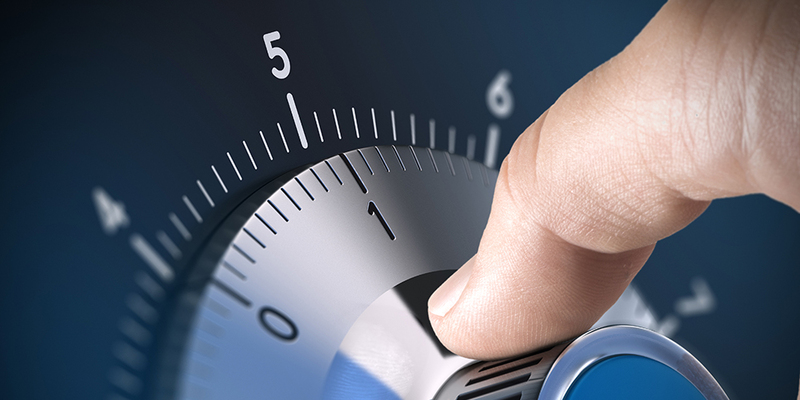 It will take approximately 15 to 30 minutes depending on your home’s proximity to our available locksmiths. All of our locksmiths are mobile technicians which mean they are on the road 95% of the time. Do I need to know what type of locks my home has? United Locksmith staffs trained professionals that can assess your locks and inform you of the services that you may need. You don’t need to have any prior knowledge on the lock products. A history of the services provided would be helpful but not needed. How long does it take a locksmith to open a door in my home? Once our locksmith has arrived they will assess your situation and inform you of the services you need. A traditional home lockout will take approximately 25 to 30 minutes depending on the lock and method being used. Will my house’s lock be damaged? Most door opening methods such as picking or the use of a bump key will leave the lock in working order. In the most extreme of cases, the lock might need to be drilled, after which the lock will need to be replaced. Replacement is also no issue and is a service that your home locksmith can provide for you. Will opening my safe damage my property? No! United Locksmith takes every precaution to make sure that your valuables remain unharmed during the process of opening the safe. Will opening my safe damage the safe? The safe will almost assuredly need to be replaced after opening because it will have been compromised and will no longer be able to securely house your property. How much does a professional home locksmith cost? United Locksmith offers a variety of Home Locksmith services, and prices are based off the type of work required. All standard service calls are priced at $15; house lockouts start at $35; the price of lock rekeying has a starting cost of $19; lock change pricing begins at $35; new lock insulation prices start at $35; and pricing for safe lockouts also start at $35. For more on pricing, and the services we offer, visit our prices page. When you are locked out of your home there is no reason to break a window or get stuck in a dog door. The best option is to contact an experienced locksmith and solve the problem with ease and efficiency. There is no reason to weaken the security of your home unnecessarily. United Locksmith uses several different methods to make sure we take the path of least resistance and be certain your home is unharmed in the process. Most locks work of a pin and tumbler system, and can usually be picked by and experienced locksmith. The pin and tumbler lock is a common type of lock consisting of a bible (which houses springs and the driver pins), the plug (the part of the lock that will turn with the key), and the key pins (the pins that are touched by the key). The driver pins rest between the bible and the plug of the lock. The driver pins and springs will be a uniform height whereas the keys pins will all be unique in this regard. The key pins have heights that correspond with the grooves of the key, instead of with each other. By placing the key inside the plug, the key pins evenly elevate the driver pins and compress the springs. The driver pins now are set on the shear line, which is the line that separates the plug from the bible. Once the driver pins all reach the shear line the key can turn and the lock is opened. By raking the lock, some driver pins will be moved properly. Then, starting from the back pin, the locksmith will work their way through all of the pins (most locks having five pins). When the process is complete the tension wrench can turn the plug as if it was the key, and by acting as a key would in slow motion, no harm is done to the lock. Another method of opening a pin and tumbler lock is with the use of a bump key. A bump key works on the similar task of moving the key pins so that the driver pins meet the shear line. Grooves are made in a key blank so that when turned as the key is struck (or bumped) it will temporarily allow the plug to be turned. Again, this method has the tool act as if it were a key and does not harm the lock. If the lock is not simply pin and tumbler (such as a smart key) or is unresponsive to picking and bumping for some other reason, the lock will need to be drilled. The drill is set to the location of the pins and a hole is punctured in the device. The drill will break the pins that hold the lock in place and allow the locksmith open the door with the turn of a screwdriver. It is important not to drill your own locks because novice drilling may result in damage that renders the device unworkable. Examples of these problems are things like drilling past the pins and breaking the bolt of the lock so it does not retract; an accumulation of metal particulates may lock and jam the pins so that they cannot reach the shear line; etc. 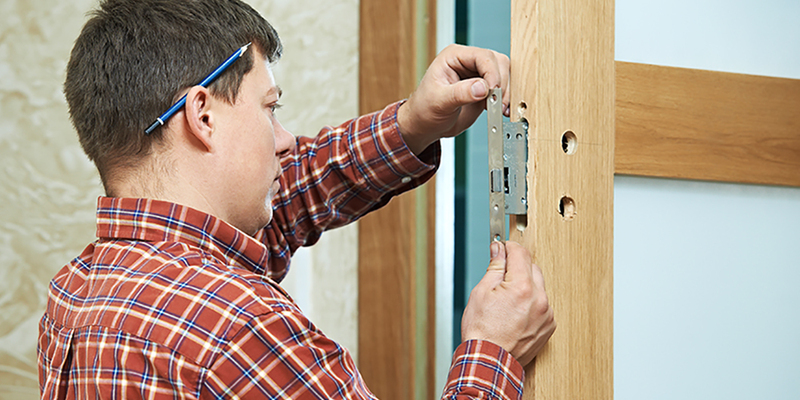 It is safer for your home to have these methods used by experienced locksmiths. As a homeowner, you should always be concerned about the state of your locks. In conjunction with the doors of your home, your locks work tirelessly to keep you safe day and night. Homeowners should prioritize their locks and should always be looking to change their locks if a more secure option comes along or if their locks are showing signs of wear. The best way to judge the way your lock is performing is to simply pay close attention to it. There are many homeowners who install the locks to their homes and then assume that these will keep their doors secure forever. It is a common mistake to take locks for granted but homeowners should remember that locks are the very things that make doors work so effectively. There a host of reasons that would prompt homeowners to want to change their locks. It could be because they have started to take notice of some of the warning signs that it is time for them to change their locks or it could be because they have decided that it is time to upgrade the security of their home. Whatever the case may be, homeowners should strive to contact a professional locksmith who will walk them through the process of changing their locks and will help them do it in a way that continues to keep their homes as secure as possible. Some warning signs are more apparent than others. As a homeowner, you should make it your top priority to contact your trusted locksmith in the event that you have been a recent victim of a burglary or a break-in. In some cases locks do fail or break, and it is important to replace them quickly and correctly in order to protect your home. The starting process is similar to removing the knob or handle in lock rekeying, except that in this process the rose and spindle (the rod connecting the lock on one side of the door to the other lock on the opposite side) will be removed from the door. The bolt will also be replaced by unscrewing the bolt guard (also known as housing) and removing the bolt. Once this is done, the holes may need to be adjusted depending on the difference of the new or desired lock. The reassembly is a cautious reversal of the disassembly process, with special attention kept to the fitting of the internal mechanisms. With the new lock installed, the homeowner can rest easy knowing that their locks will open and close as desired, and keep the building and its residents safe. The future of the home security industry rests firmly on the shoulders of smart locks. Smart locks aim to merge the convenience of automated technology with the security that locks already provide many homeowners. Aside from the fact that smart locks look cool and futuristic, they help homeowners cast a wider security net over their homes even from remote locations. There are an increasing number of homeowners that are beginning to take advantage of smart locks for their homes. Before homeowners decide that they want to incorporate smart locks into their homes it is essential for them to understand just how smart locks work and to have an intricate understanding of the benefits and limitations of smart locks. Smart locks are breaking new ground throughout the locksmith industry as they work to reinvent the face of home security. Aside from the technological innovation that smart locks bring to the table, they are also designed to give homeowners a lock that feels and looks like the future is already here. Opting to undergo a smart lock installation is definitely something that many homeowners are taking advantage of now. When homeowners are making the decision to switch over to smart locks, it is important for them to take every aspect of their homes into consideration so that they do not end up leaving their homes vulnerable in the pursuit of making them more secure. There are many homeowners who are apprehensive of switching over to using smart locks and we understand this apprehension. Homeowners might be worried about the costs that go into a smart lock installation or they might be worried that the smart lock will make them more susceptible to burglaries and break-ins. If you have any concerns about smart lock installations, make sure you continue to read more and then present our trusted locksmith with any questions you have. The process of rekeying a lock allows the lock to be adjusted, so it works with a new key. Rather than changing your locks, the locks are kept the same and merely adapted to fit the key change. With the basic understanding of a pin and tumbler lock (described above) understanding the lock rekeying process is quite simple. It is however, a process that takes time and practice to master, and a single misstep might ruin the lock. The first things that are needed are the current key, the lock, and the new key that you wish the lock to fit. For deadbolts the apparatus is disassembled by unscrewing, but door knob locks are more complicated. Locksmiths will have other necessary tools for door knob locks, such as a catch tool, a spanner, and a plug follower (sometimes referred to simply as a follower). The catch tool is used to remove the knob or handle from the lock. To do this, the handle or knob must be twisted until the hole in the knob rose (the sheath-like case usually attached to the wall) is seen. The catch tool is place in the hole to release the catch, and the knob and rose can be separated. The spanner is used to remove the cap (also known as shank) from the knob and the lock cylinder can now be independently accessed. The spanner is used again to remove the c clip (named because of its c shape) from the plug. The current key is then placed in the keyhole and turned to a 90 degree angle, opening the lock so it may slide free of the plug. The plug follower is positioned on the back of the lock and follows the cylinder as it is ejected. This keeps all the driver pins and springs in place while the rekeying is being done. The plug (part with the key inside) is now separated from the bible (part with the follower inside), and the current key pins are removed from the plug. A key decoder can be used to find the maker’s specific key pin to groove number ratio. The grooves are measured in accordance with the company specification of groove depth, and this corresponds to a number. Once the groove numbers are measured, the company’s list of relative heights can be found. The relative height informs the locksmith of the size needed for the new key pins. Once all grooves are measured (usually five) and the proper size key pins are gathered and placed in the correct holes, the key pin size is easily verified by checking to see that the pin is flush against the cylinder (what will become the shear line once the bible is refitted). The plug is reinserted into the bible, pushing out the follower, at a 90 degree angle. If the plug is improperly reinserted the first driver pin may fall into the sixth chamber and premaritally lock the mechanism. The lock is put back into the knob after the c clip is reattached, and the shank and rose can be fitted back together. Locks are an integral part of keeping every home safe. It is essential that every home is equipped with locks that keep all its occupants safe and sound. Homeowners need to understand the significance of their locks so that they maintain and repair them when the need arises. Yes, even locks need the gentle touch of repair. Locks are a part of our daily lives, whether we are aware of this or not. Frequently using locks leads to wear and tear over time and this usually leads to the need for lock repair. As a homeowner, it is essential that you notify a professional locksmith as soon as you start to detect any signs of wear within your locks. In many cases, lock malfunctions start out as minor incidents that can be easily resolved. However, many homeowners ignore the signs of a degrading lock. This is one of the main things that leads up to the need for lock repair. Repairing a lock can be an arduous process if it is not handled by the proper professionals, as such, it is extremely important that homeowners have experienced locksmiths working to repair their locks so that they are not charged for someone who merely causes more damage. There are varying ways in which a lock can be damaged so it is key for homeowners to be aware of the signs that point to the need for lock repair. A lock can be damaged by breaking a key in the lock, if the latch is misaligned or if the lock cylinder begins to turn every time you are attempting to open your lock. These signs might seem trivial to many homeowners but if they are left unattended to they can lead to the unraveling of your home security and it will cost you a lot more money in the long run. There are very few things that can cause a homeowner to become extremely frustrated and one of those things is dealing with a broken key. 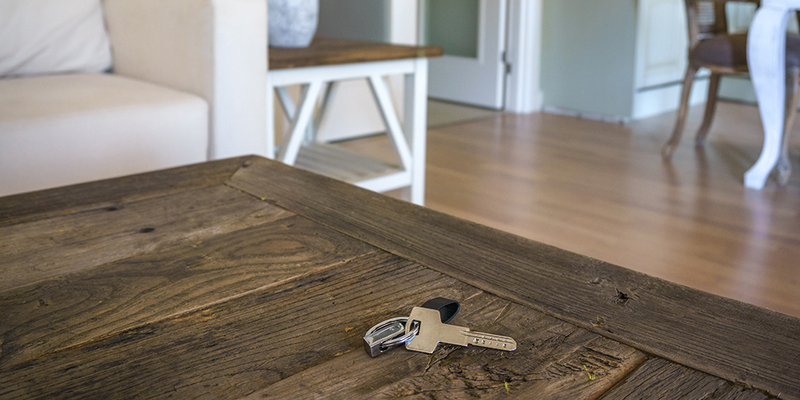 As locksmiths, we understand the frustration that broken keys bring and we are here to help you out of that situation, but we are also here to make sure it does not happen to you again. It is understandable that keys will break from time to time, especially if the key is old and it is constantly being used. When a homeowner is presented with situation, we implore that you stay calm and give us a call to help you extract your broken key. Some homeowners do not see the need for calling a locksmith for something that they feel they could do themselves, however there is always the possibility that they might further damage their locks and their keys rather than repairing them. Our locksmith will help you get your key out of your lock and will make sure that both your key and your lock are in working order, they will also advise you on how to best avoid having your key breaking in your lock again. One of the best ways to make sure that you do not find yourself holding a broken key, is to ensure that you are always paying attention to the way your key and your lock are working together. If you notice any cracks forming along the shaft of your key, make sure that you discontinue using it as soon as possible. Also, if your lock is proving hard to use while they key is inserted, do not force it. This could lead to the key breaking inside the lock and it will cause a lot of hassle that every homeowner could do without. It is important that homeowners know as much as they can about broken key extraction so that they can prevent it and also so that they know how to deal with it. The windows to your home are as important as the doors to your home and as such they should be treated with care and should be given the utmost attention possible. Many burglars make use of windows to enter a home, which is why it is necessary to have a functioning window lock that keeps you safe while you are in your home and works to keep intruders out. Our locksmiths have been trained to properly assess the repair service you need and they are capable of working on any type of window. This ranges from casement windows to sliding windows, and we are adept at handling whatever lock you may be using. As a homeowner, it is necessary to call a locksmith to help you repair your windows as soon as you become aware that there might be a problem with them. The locksmith will proceed to troubleshoot your window locks and will help you repair the existing lock or install a new one. There are some homeowners that prefer not to call a locksmith for these problems because they do no want to incur any costs and they also do not hold their window locks in high regard. If you have never suffered a burglary or a break-in does not mean that you should be completely lax when it comes to the state of your home security. The security of your windows plays an integral role in your overall security so it is important for homeowners to be more vigilant about the locks they use on their windows. Protecting your valuables is a great idea, but sometimes those same protections can prevent you from accessing your property. In the case of safe lockouts the fear is often that the owner will never be able to get their valuables back, or that the contents might be harmed by the methods of opening the safe. With United Locksmith, the safety and protection of your property is of the utmost importance, and the servicing locksmith will take every precaution to assure that standard of quality. Once the bar falls into the fence the nose must catch in the cam (another wheel with a groove that fits the nose), and it is at this point that the safe can be opened. The way the wheels are manipulated with the dial may vary from safe to safe, but this is no issue for an experienced locksmith as it is superfluous to entry. Safe technology has become very advanced throughout the decades, and in order to open a modern safe, the safe will be compromised. If there is a key hole on the safe that overrides a combination, there is a chance that the lock can be picked (see about house lockout above for more information), but it will most likely need to be drilled. Without a key override, the safe will either need to be wedged, pried, or sawed open. The approach to wedging, prying, and sawing is best left to a profession, so all contents of the safe are not damaged. In most any event, the safe will no longer protect its contents, but your property will be accessible and unharmed by the process.